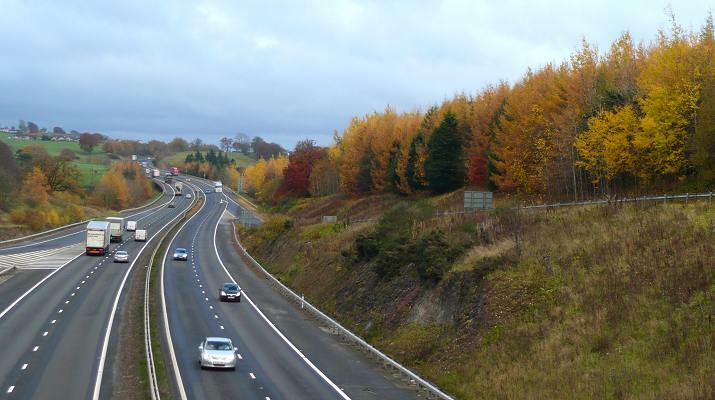 Autumn colours in the trees bordering the M74 at Lesmahagow, South Lanarkshire. 5th Nov 2010. In the bleak mid-winter. Lesmahagow, 23rd Dec 2010. Completed demolition of 'old' Lesmahagow High School. New school in background. The area known as The Fountain in Lesmahagow (junction of New Trows Road and Abbeygreen) has not had a fountain for a large number of years. In 1926, it was taken away as it interfered with buses turning at the junction. 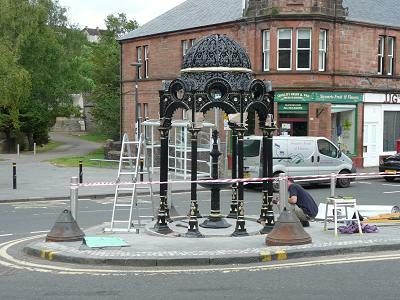 On the 24th June 2010, the Council installed a fine replica of the original. This picture shows an artist painting in the gold features. The newly refurbished Fountain Community Centre, Lesmahagow. First used as a Polling Station on Thursday 5th May 2011, the Centre was officially opened on Saturday 7th May 2011. Lesmahagow Old Parish Church with the ruins of the Priory in the foreground. 24th October 2011. Lesmahagow Old Parish Church. 30th March 2012. The new and the old. Top: The new Milton Primary School in Lesmahagow, now open for the new Autumn 2012 term (photographed 19th August 2012). Below: The former Milton Primary School before demolition on the 2nd June 2010. For more pictures, including the inside of the school and the play facilities, see the excellent Milton Primary School website. The Co-operative Foodstore in Lesmahagow's main street closed at the end of November 2012, a victim of competition from the Tesco opened in 2010. The photographs show the store before (26th Nov) and after (5th Dec) closing. Now that the signs and ATM have been removed, it adds to the sense of dereliction in the main street. This former Co-operative Foodstore re-opened in November 2013 as a Smartways Supermarket, as shown below. 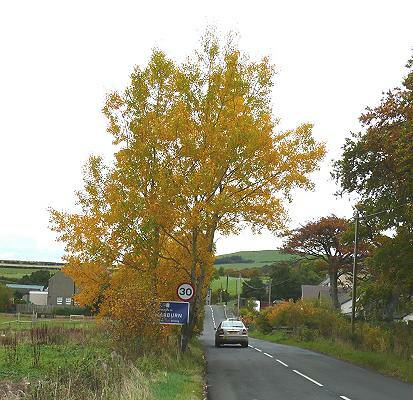 Lesmahagow village gets a repaint! Many of the shops and buildings in Abbeygreen, the main street have been repainted. This picture show Sneddons Bakery after repainting, its colours nearly matching those of the delivery truck parked nearby. Photographed 2nd May 2013. Open Evening at Lesmahagow Fire Station, 12th June 2013. Above, fire engine returning from a call and below, a trainee fireman. An excellent exhibition "Lesmahagow - Past and Present" took place on the 14th September 2013, organised by Clydesdale Camera Club with displays by the Jim Hamilton Heritage Society of Coalburn and Lesmahagow Parish Historical Association. The photos above show the exhibition of prints and the display of objects from the old Lesmahagow Pharmacy. part of the collection by John Veitch, Lesmahagow's former pharmacist. Despite the appearance of the first photo, the exhibition was actually very well attended. The Parish Church is probably the most photogenic building in Lesmahagow. The photograph you can get depends on the amount of light, the direction of the light and the sky. Everything seemed to come together in this picture taken on the 13th January 2014. 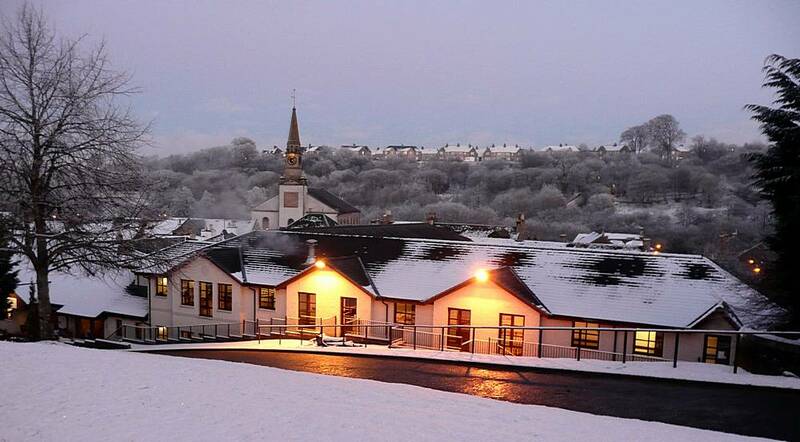 Lesmahagow - Bankhouse Care Home in the foreground and the Parish Church behind. Date of photo: 20th January 2014. 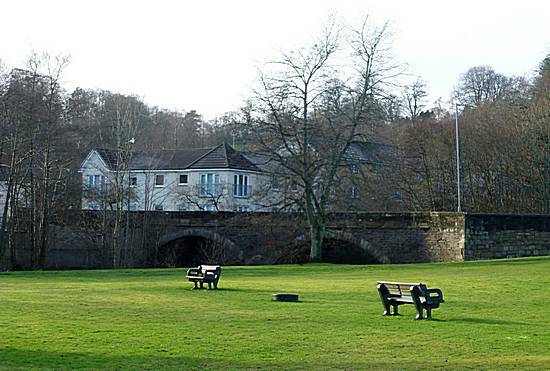 Turfholm Bridge, Lesmahagow from McKirdy Park. Jan 13 2014. Abbeygreen, Lesmahagow. Date of photo: 7th February 2014. Gardiners of Scotland confectionery factory, Turfholm Industrial Estate, Lesmahagow. 7th February 2014. Lesmahagow. Date of photo: 11th March 2014. Bank of Scotland, Lesmahagow. Date of photo: 24th March 2014. The bridge at Lesmahagow carrying the M74 motorway over the River Nethan. Date of photo: 30th March 2014. Abbeygreen Church and Manse, Lesmahagow. Date of photo: 19th April 2014. The depot of R.Taylor and Sons in Milton Industrial Estate, Lesmahagow. As Lesmahagow is adjacent to the motorway between Glasgow and Carlisle, its association with transport is important. Date of photo: 2nd May 2014. Auchlochan Retirement Village. Date of photo: 13th May 2014. Milton, Lesmahagow. Date of photo: 20th August 2014. Entrance to Lesmahagow High School from Milton. Date of photo: 20th August 2014. Flower beds at entrance to Lesmahagow 1. Date of photo: 19th August 2014. Flower beds at entrance to Lesmahagow 2. Date of photo: 19th August 2014.